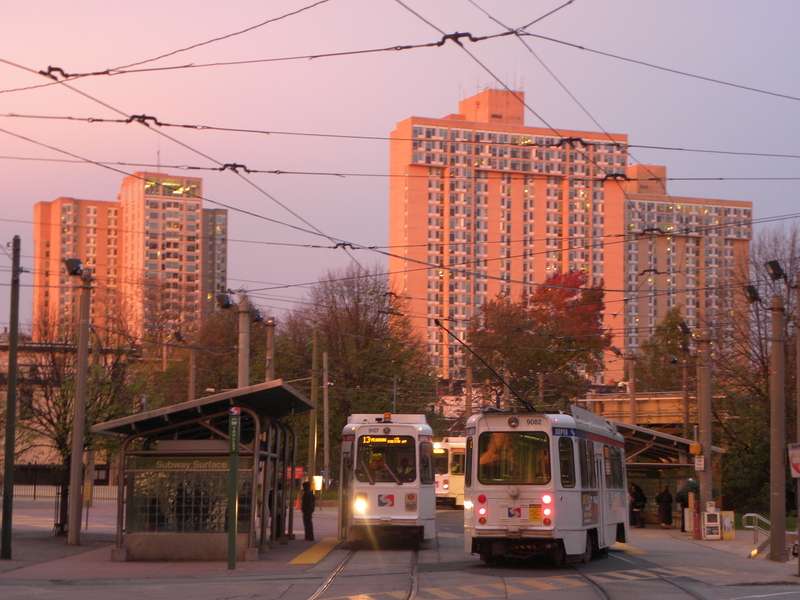 An Autumn twilight descends upon the West Philly trolley hub as two trolleys pass like ships in the night, 08 November 2010. 16 Oct	This entry was published on October 16, 2013 at 8:47 am and is filed under West Philly. Bookmark the permalink. Follow any comments here with the RSS feed for this post.